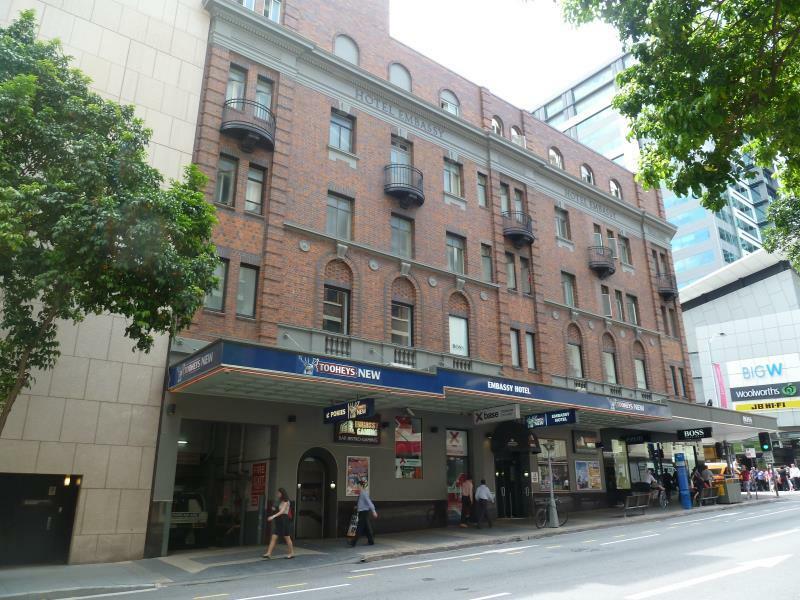 يحظى فندق Base Brisbane Embassy Hostel بمكان متميز في محور بريسبان مطاعم, سياحة, تسوق في منطقة مركز مدينة بريسبان الفاتنة. إن موقعه الجيد الذي يبعد 0.1 km فقط عن مركز المدينة يساعد النزلاء على الاستمتاع بمعالم المدينة ونشاطاتها. بالنسبة لمن يريد الخروج، هذه بعض المعالم السياحية المتوفرة للزوار مركز وينترغاردن, القنصل الفخري الفرنسي, MacArthur Central Shopping Centre. 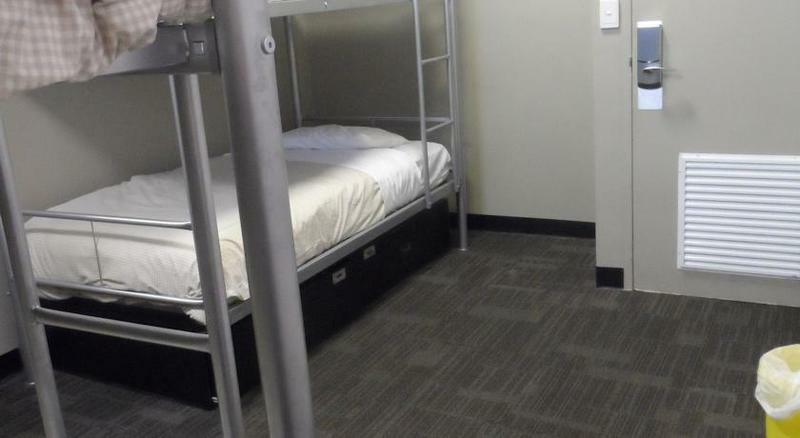 يقدم Base Brisbane Embassy Hostel خدمات لا غبار عليها وكل أشكال اللياقة وحسن الضيافة اللازمة لإسعاد ضيوفه. لضمان راحة ضيوفه، يقدم الفندق الخدمات التالية: خدمة التنظيف يوميًا, مطبخ, تخزين الأمتعة, واي فاي في المناطق العامة, التوصيل من وإلى المطار . ادخل إلى واحدة من الغرف 32 وتخلص من عناء نهار طويل بمساعدة مجموعة كبيرة من الخدمات كمثل اتصال لاسلكي بالإنترنت, غرف لغير المدخنين, مكيف هواء, خدمة الإيقاظ, ستائر التعتيم الموجودة في بعض الغرف. إن غرفة ألعاب هو المكان الأمثل في الفندق للاسترخاء وتفريغ طاقتك بعد نهار طويل. إن كنت تتطلع إلى إقامة مريحة وهادئة في بريسبان، فستجد في Base Brisbane Embassy Hostel بيتك الثاني. clean sheets and comfortable bed. big kitchen. clean bathroom and toilet. right in the shopping precinct, shop till you drop. if you are taking airtrain from airport, there is alittle walking distance from central train station. was in very location within the central station by walk. staff was very nice and their lock system is okay with throwing and mixing everyones bags together but maybe will be updated. We stayed delux room as a couple it was quite clean and quiet this is best part! and public bathroom/showeroom was being empty when we needed to go. Overall it was nice and cheap 2 days stay! Convenient location. Friendly staff. Spacious room. Should provide one or two chairs and a kettle in the room. The door of the bathroom can be kept open if guest wants it. Currently the self-closing door is heavy and it is not convenient when the guest has to go in and out the bathroom for washing etc. All guests should be asked to keep quiet in the evening, especially in the corridors outside the rooms. CRAP!! I am not a typical backpacker, so I booked a private room with ensuite. 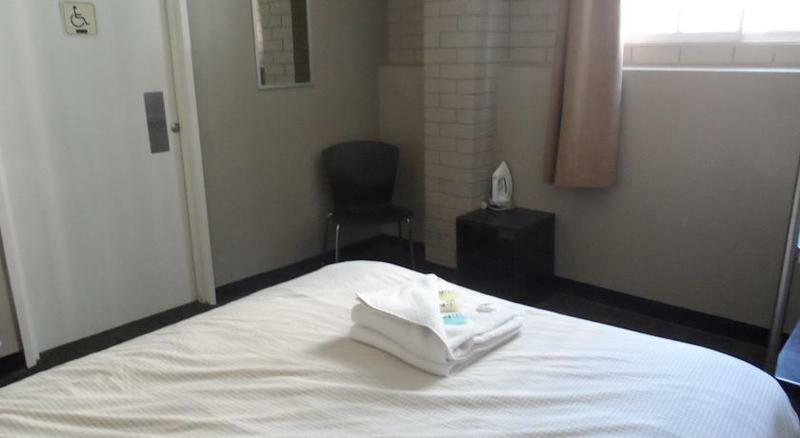 I booked this room at this place as it was a good price for inner city location. However....I do not believe I got VALUE for money! Hence....I will not return or recommend this place. That being said....I am not a typical backpacker, so maybe I should have chosen a different option. I really only used this room for a bed. I spent most of my time exploring and only came back for the bed, and I'd really only recommend it for that. I stayed on the weekend and there was a lot of noise coming off the street at night, and the room wasn't particularly well cooled. The bathroom facilities were acceptable. It was what I expected for what I paid. Hostel stuffs are very helpful. However the hostel is not clean especially the toilet. There got no individual lights beside the bed. Most of the furniture is spoil and hostel is quite noisy. Reception are not open 24 hours so if you want to check out early before 7am you got to walk to the other branch which situated opposite the Central train station. No free breakfast nor internet. 2 sleepless nights thanks to the party noise and drunk people in the hostel! First off location is cool, this is supposed to be a chilled, quiet hostel....Its not Both nights there were parties on the floors and noise from drunk 18 year olds and the constant door slamming, was enough to drive me insane. The hostel has plenty of signs saying keep the noise down after 10pm, this did not happen! The hostel is in need of a deep clean, kitchen was grotty and bringing a hoover out would not hurt! Not a great stay i am afraid to say - one of the worst i have stayed in on East Coast. Our room was basic but we had a very large bathroom which was nice. Location was great. The only slight downside was the staff, just seemed a bit unfriendly. The guy on the desk didn't even look up/say hello when we entered the building which was just a bit off. No particular problems but you just remember things like that. clean rooms but lacks relaxation and social rooms. there was a kitchen but that is all. the so-called tv room was not inviting and pretty bare. however, the location was quite good. it's close to city center and within walking distance to many pubs and restaurants. overall a good place to rest your head but not a good traveler enviornment. location : very near bne city. walkable distance to shops, train stations. it can get noisy during the night cos there's a bar/pub below. you can sometimes hear party goers shouting on the streets. but if you're staying for just a night and don't mind the noise, it's pretty okay. The staff was friendly on arrival. The room was exposed to a lot of outside light and also quite noisy. The kitchen was in a bit of a state in the morning, lots of unwashed dishes in the sink. There was no tea or coffee available to start the day. In close proximity to the hostel lots of things to do, that was fun. i went there for 3 nights, the first two nights were very noisy because of the pub is downstairs. the third night was better because it was sunday. the customer service is nice but the kitchen and toilet are not so clean.. i think it is quite expensive for the room with no private bathroom. 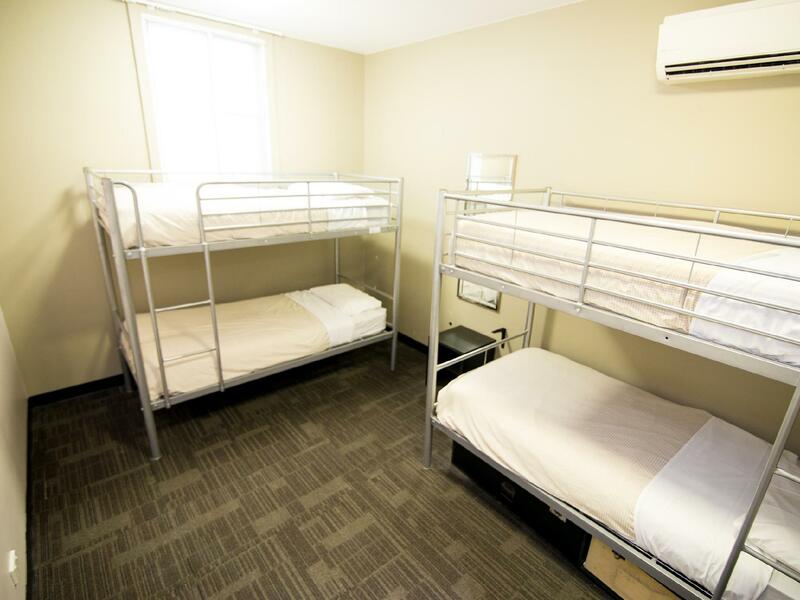 pros: great location, reception are very friendly and helpful, bed is big and good, sheet and pillow are clean cons: i stay in the twin room (301). it is very noisy because the pub is downstairs. the price is quite expensive because no private bathroom :( and no hair dryer. the only plus is it is located right in the heart of the CBD area. other than that, the property is noisy, room is hot (no air conditioning) bathroom is smelly and not very clean. internet charge is pricey. 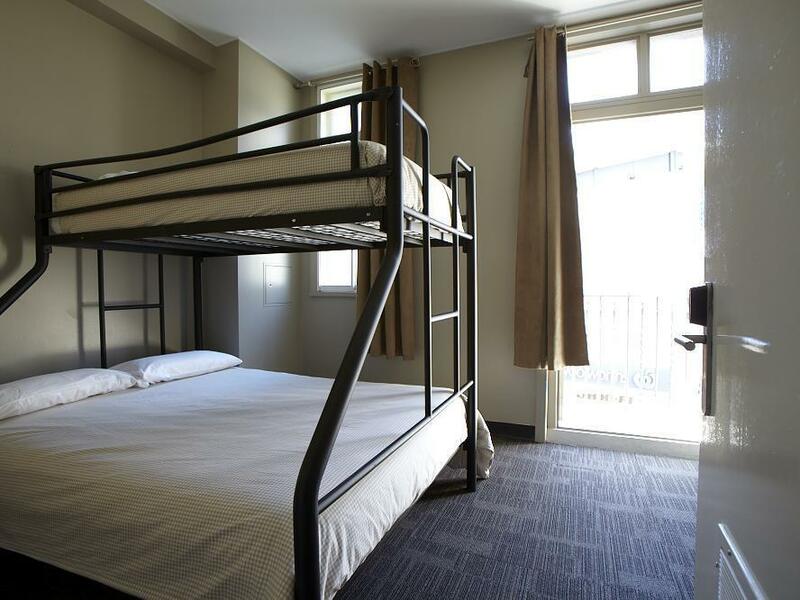 Looking for a modern, relaxed and contemporary hostel in the very heart of Brisbane? Head on down to the nearest embassy - Base Brisbane Embassy that is. 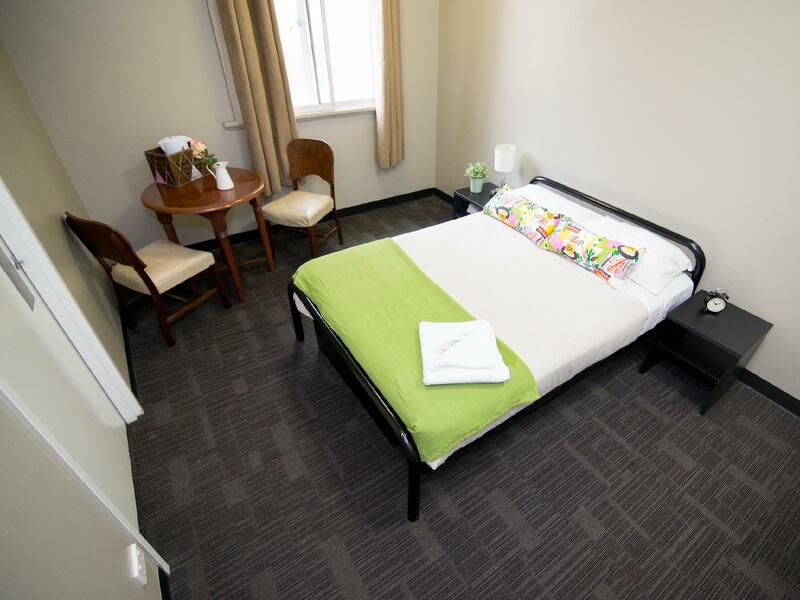 Located right behind the Queen Street Mall, Base Brisbane Embassy is the budget accommodation of choice for those wanting to stay in the very centre of the city. Our facilities aren't budget though: outdoor balcony; guest kitchen; wifi access in all the rooms and our very own cinema room to watch the latest hit flicks! Base Brisbane Embassy is also a short walk across to the Southbank Parklands, Central Station and the Roma Street Transit Centre. Staying at Base Brisbane Embassy also gives you access to facilities at our sister hostel just up the road at Base Brisbane Central, including our Job Club for those looking to earn some ; the Travel Desk to book those tours in and around Australia and beyond; and of course the world-famous Down Under Bar! Base Brisbane Embassy - your visa to the best of Brisbane.